The Chicago Bulls Just Won Their First Trade in Over a Decade!!!! You didn't hear about the big Bulls trade yesterday? Oh that is because it does not exist. But thanks the the Minnesota Timberwolves, for the first time in... well forever... the Bulls actually look smart. If you take a look at team president John Paxson's handiwork, you will find some of the most laughably lopsided deals in the history of team sports. I used to be a completely moron (oops I mean Bulls season ticket holder... but it is the same thing) so I have etched the evidence of the Bulls' management's incompetence in my brain. I challenged myself to rattle off as many dumb moves as I can remember without looking any of them up. Actual footage of all of John Paxson's moves. 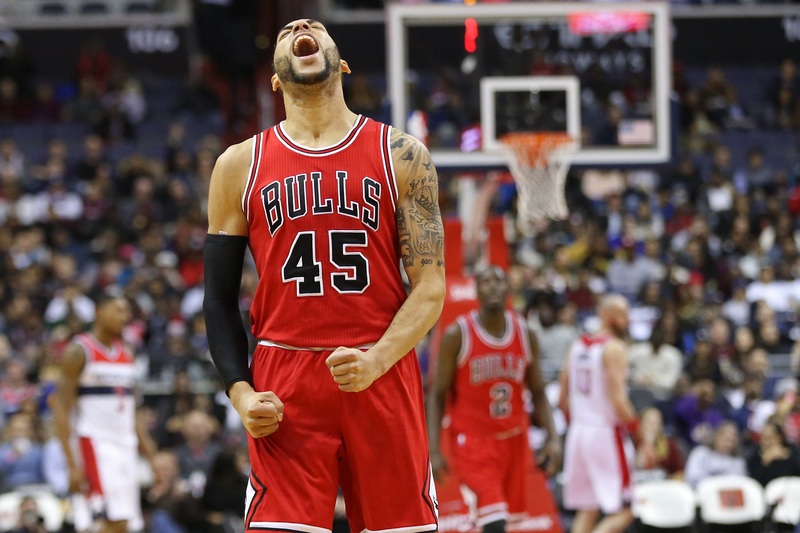 The Bulls traded Kirk Hinrich and a 1st round pick to the Washington Wizards for... nothing. Literally they received no assets in return. They needed the cap space in order to fail in their attempts to woo LeBron James the first time he ripped the hearts out of his hometown fans. They then signed Kyle Korver (not bad) and Carlos Boozer (all the way bad). They eventually traded Kyle Korver for... nothing. They traded Luol Deng (who was an All-Star at the time) for ... nothing. They traded Niko Mirotic for a middle round draft pick that they used to draft Chandler Hutchinson. Hutchinson played all four years for Boise State. When was the last time a four year college player was any good? When they traded Jimmy Butler and a number one draft pick in exchange for Zach LaVine, Kris Dunn and the pick used to choose Lauri Markkanen, I had good reason to be skeptical. Although LaVine has never played defense and Dunn is not very good, Lauri Markkanen was interesting. He still is. But giving up Butler and their number one pick was just another example of the Bulls not knowing how to negotiate a deal. What does a guy have to do to get a little more attention? Jimmy Butler became such a douche bag that the Timberwolves just traded him for pennies on the dollar. I'm not saying Robert Covington and Dario Saric are scrubs but if you rewind 18 months you can see what the Wolves gave up for them. Essentially, they traded LaVine, Dunn, and Lauri Markkanen for Covington and Saric. You may be thinking, "But what about that pick the Bulls threw in? The Wolves still have that right?" Justin Patton, who was drafted with the pick from the Butler deal, is also part of the trade. So for the first time in as long as I can remember, John Paxson looked like the smart one. He knew Butler had transformed into a complete douche and he dumped him before everyone else found out. Well done! Sadly for fans of the 76ers, I think they are about to find out the hard way. Reports indicate that Jimmy wanted the star treatment in Chicago and Minnesota. When the team seemed to lean toward Karl Anthony Towns instead of Butler, he threw many tantrums. How do you think Butler is going to handle being in Joel Embiid's GIGANTIC shadow and Ben Simmons' much skinnier one? He is going to be the third best player on that team... which is awesome for that team. They are legit contenders. But it will be very bad for Jimmy. If there is one thing I have learned about Jimmy Butler over the past three years, it is that Jimmy Butler really loves him some Jimmy Butler. Good luck 76er fans. I hope this locks up a trip to the Finals for you this year. I don't see any way Butler suppresses his douche-bagness for more than one season. *By the way, I realize Gar Forman is the actual GM of the Bulls... but no one actually believes he has any real power.